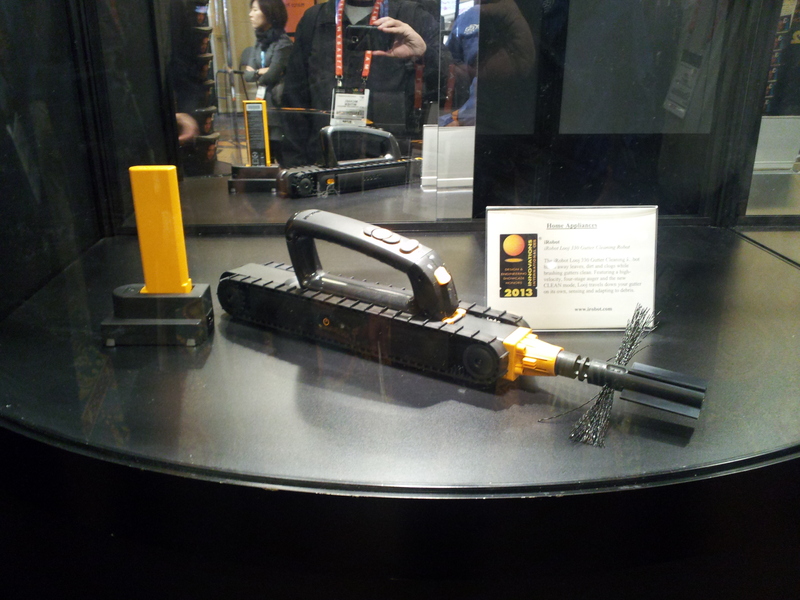 In my last post, I detailed what I felt were the best items of CES 2013. However, there are several things I saw that are worth mentioning that don’t fit in that category. Give access to your home to any contact who has a smartphone. 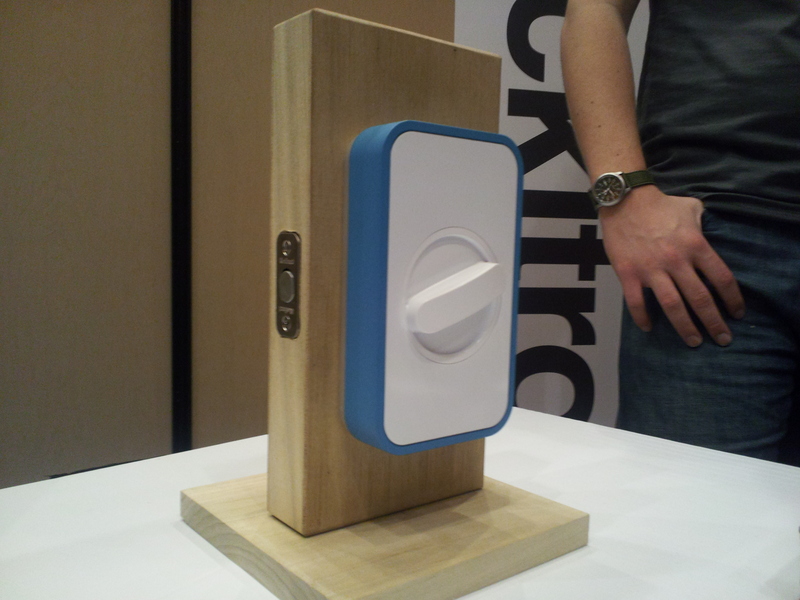 First, I wanted to share a device that has some potential that we may see integrated with security systems as well as stand alone: The Lockitron. Not only does it have a killer name, but it also is very practical. 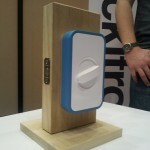 The Lockitron replaces the deadbolt on your front door. You can still use a standard key to get in from the outside, but on the inside, a white box is attached. This box houses a Bluetooth system that connects with their smartphone app. The home owner can assign permanent or temporary access to their home to anyone on their contact list. If that user has a smartphone, they download the app and can gain access to the home without a key. 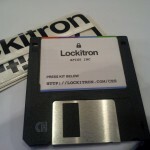 Super legit – Press Kit on a floppy disk! 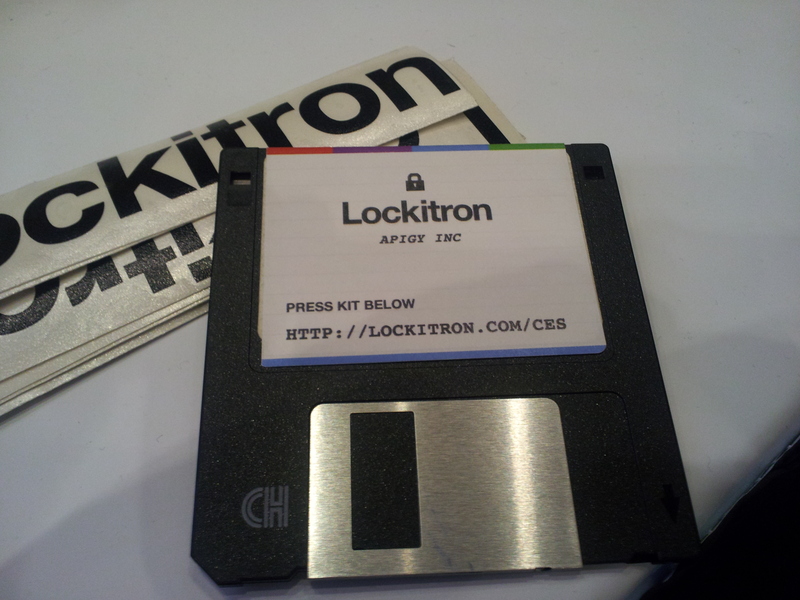 Perhaps the coolest part of the Lockitron display was their press kit. That’s right, they had a stack of floppy disks that contained all of the pertinent info on their product for the press. This seemed like a pretty sweet idea to me, but I realized as I was about to take one that I have no way to read it! None of my PCs has a floppy reader any more. 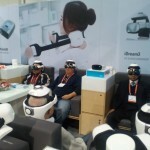 This might have been a good idea gone bad, but I bet they’re just that big of geeks that they simply don’t care. 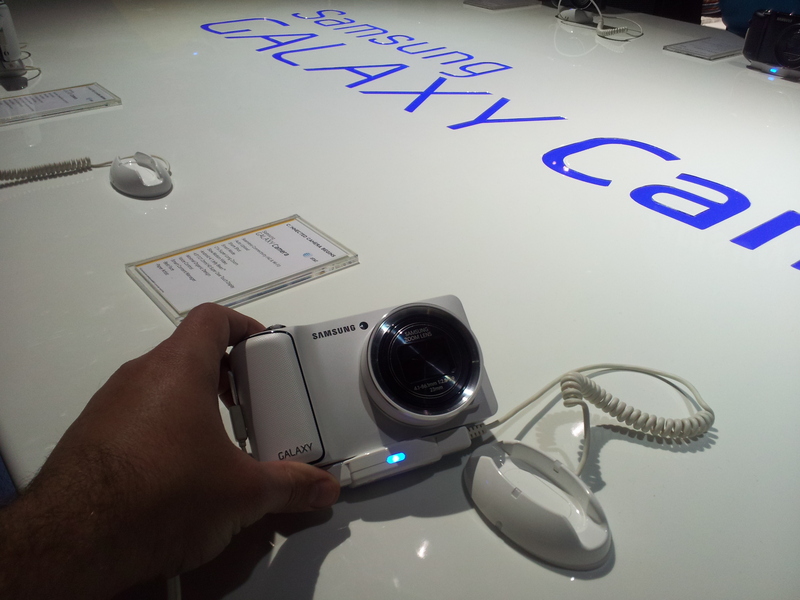 Another interesting idea I came across was the Samsung Galaxy Camera. 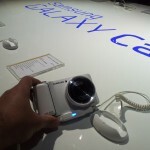 And if your next question is, “Is that a cross between a Samsung Galaxy and a camera?” the answer is yes! They did not say what the picture resolution is, but the camera does feature the full Android Jellybean OS along with both still and video capabilities. It is wifi capable and will auto upload as well. 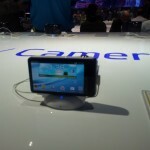 Full Android OS in a camera. My biggest concern about this device isn’t the engineering, however. It is the marketing. I found myself wondering who would use it. People who need full Android functionality usually will have a smartphone. People who want to take great pictures will spend a little more for a great Nikon or Canon camera, and don’t have an issue with transferring pictures because they’re great quality. 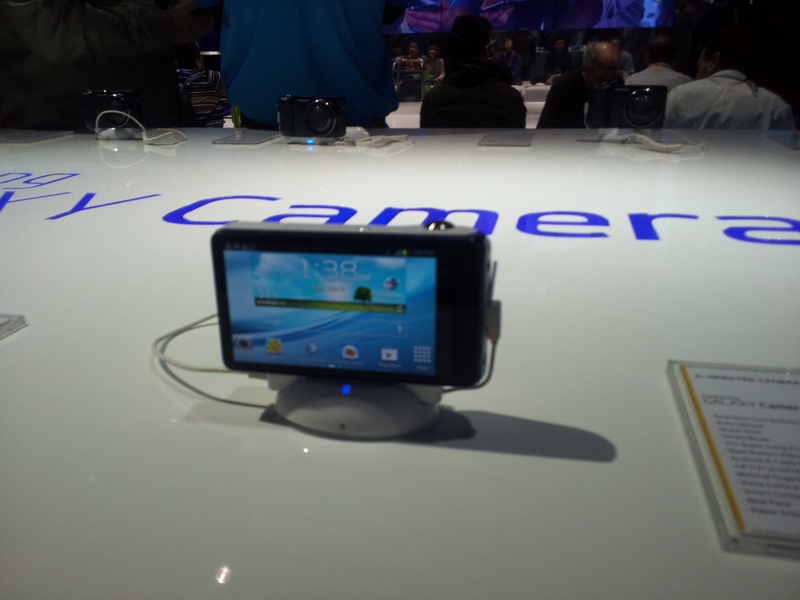 While an interesting concept, I don’t think we will be seeing the Galaxy Camera adopted in the U.S. to great extent. People who don’t care much about image quality, but want Android will continue to buy smartphones and serious photographers will spend their money on better platforms. 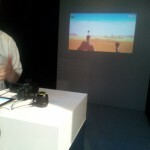 Project and interact with the projection. 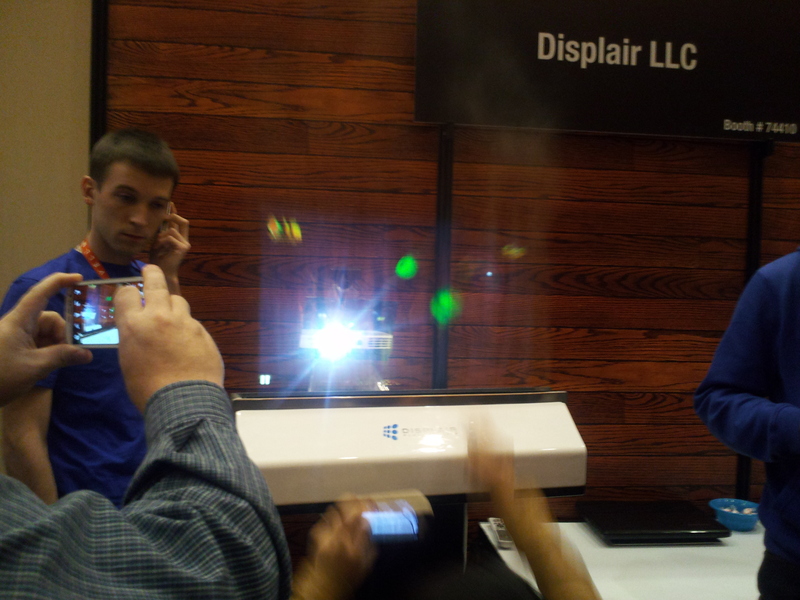 Another interesting device I found while at CES was this projector. It is designed to project an image on a wall of water vapor. It was one of two such projectors we saw. However, what makes this device stand out in my opinion is the interactivity capability. 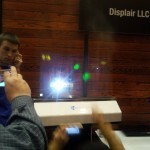 Their demo used the game Fruit Ninja and rather than using a touch screen to slice the fruit, all you have to do is slice your finger through the projection in the water vapor! I don’t see a ton of applications for this, but I definitely give credit for the ingenuity. 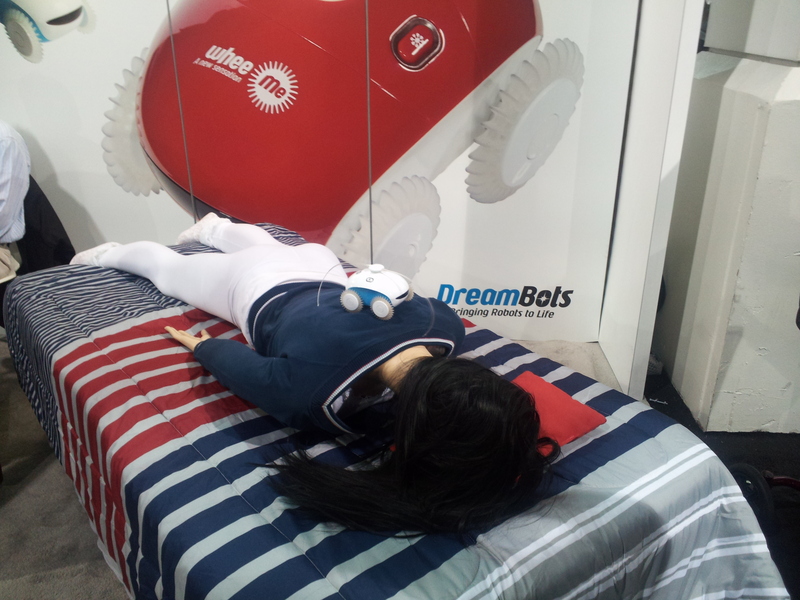 This machine I would categorize as strange, but useful. 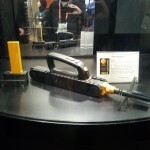 Made by Home Appliances, the iRobot is a battery operated, caterpillar driven gutter cleaner. Set this baby at one end of your house’s gutter and it will propel itself to the other end and sweep out all of the accumulated garbage. I live in Phoenix, so I really have no use for it, but I loved the idea and can definitely see how it would improve the life of a rainy city dweller. 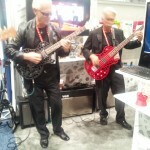 This guy paid a load of cash to have a booth at CES. What a waste. Do you eat too fast? 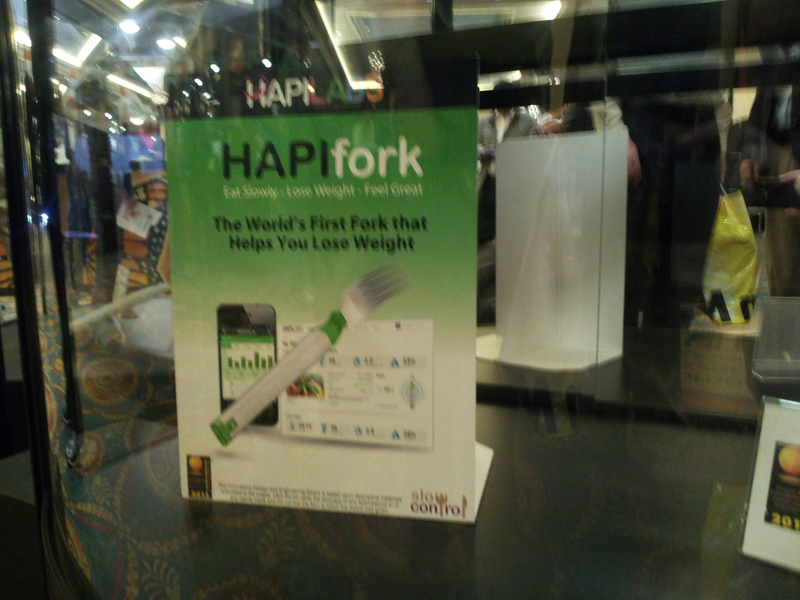 Train yourself with the Hapi fork. Okay, I get that we have an eating problem in America. I admit that we eat too much and we eat too fast. I even acknowledge that I at times eat too fast. 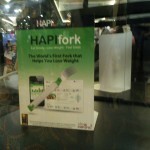 But what self respecting person would actually buy the Hapi Fork? That’s right, this fork comes with a Bluetooth connection and data collector that gathers statistics of your eating habits, then sends them to your computer for analysis. It is a sad day for America (and China, where I believe it was developed) when we actually have a need for something like this. There are a few other devices in the gallery below that speak for themselves. 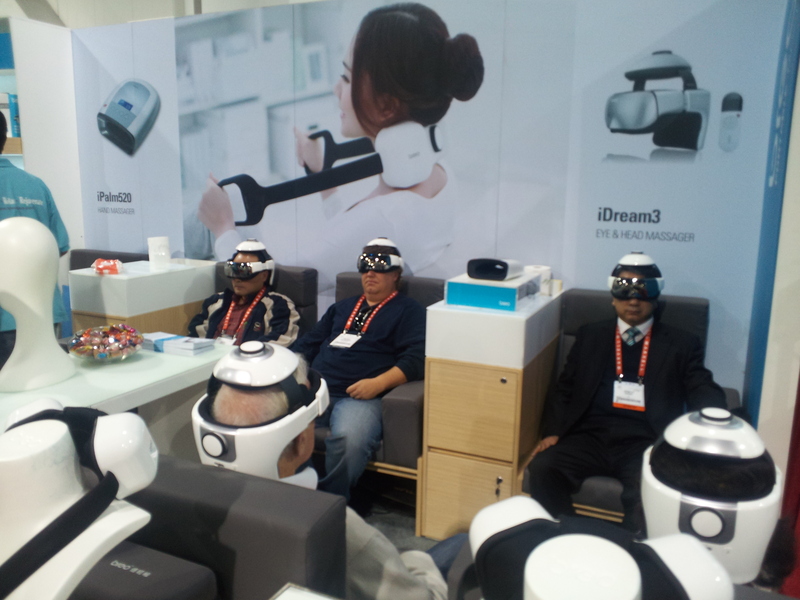 Thank you so much for reading through my experience at CES 2013! Record your home videos, then project them on the wall. No TV needed. 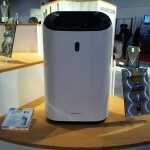 Network Server Air Purifier: Filling the obvious void in the Network Servers that double as Air Purifiers market.